This Goss BG-1 Blow Gun is a genuine Goss air nozzle perfect for applications is construction sites and woodworking workshops, or even in residential applications. 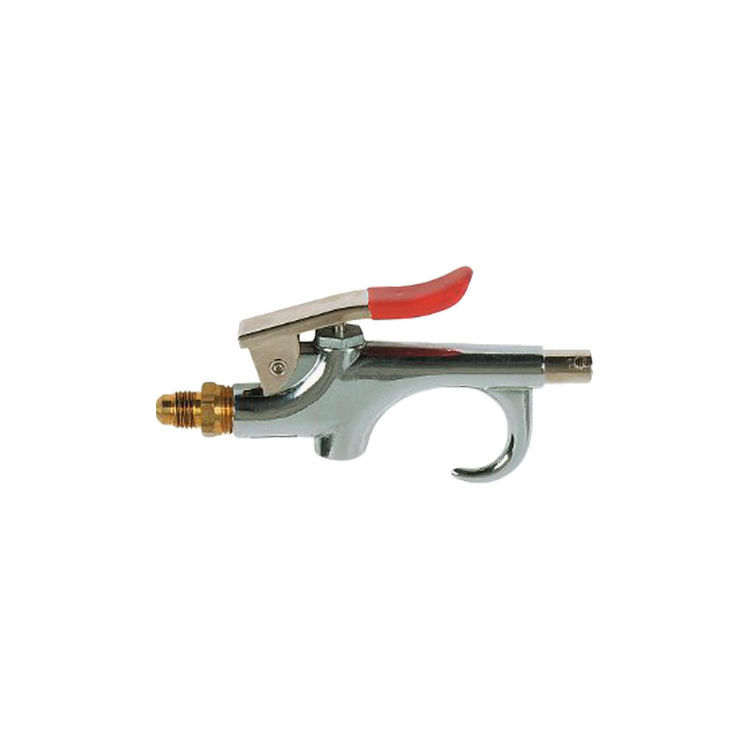 This nozzle is a durably constructed metal nozzle made to fit on the end of an air compressor hose and blow a regulated channel of air. Goss made this BG-1 Blow gun with an action lever that can control the air stream coming out whether you want it at full force or just a little blast it?s your choice; just push down the lever while gripping the nozzle and it will open the valve and release the blast of air. This Goss BG-1 Blow Gun has been tested by OSHA and has been found by them to be compliant with their standards and regulations, ensuring buyers that this is a high quality user friendly product. Shipping Dimensions 11.5" x 4.3" x 0.8"